On 19th September 2018, Panos Moraitis, the founder of the Greek NGO Emergency Response Centre International (ERCI), was arrested for allegedly helping migrants illegally enter the country. Moraitis gave himself up to the police after being sought for three weeks. At the end of August 2018, ERCI's field director Nassos Karakitsos and two volunteers, Sean Binder and Sarah Mardini, had also been arrested and detained. Sean Binder, an Irish national, faces up to 20 years in prison on charges of human trafficking, espionage, money laundering, and being a member of a criminal organisation. Mardini, the well-known Syrian refugee who saved the lives of 18 fellow refugees by pulling a leaky boat to shore in 2015, was charged with the same crimes. It is currently unclear whether the authorities will seek for the same punishment for her. Under Greek law, the activists can be held in custody pending trial for up to 18 months. An appeal by Sean Binder against his detention was denied on 10th September 2018. In total, the police are looking for 30 people (of which 24 are foreign nationals) in what they say is an operation to dismantle a "criminal network" on the Greek island of Lesbos, where more than 10,000 asylum seekers are living in camps. According to the police, since 2015 ERCI members and other activists have posed as humanitarians in order to assist the illegal entry of migrants into Greece for financial gain. Human rights NGOs regularly criticise the Greek government and call on the authorities to improve conditions in refugee camps in Greece. 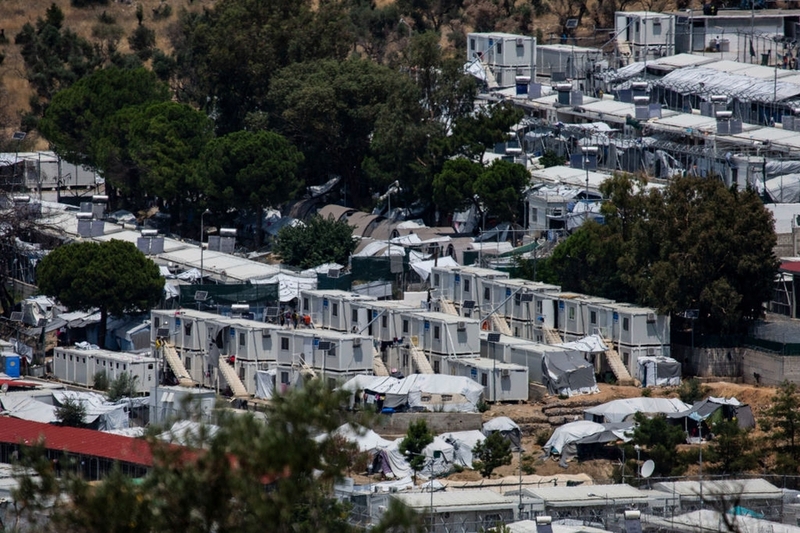 In mid-September, 19 organisations urged Greece to take action to alleviate the plight of refugees in all its island camps and to render the camps more fit for human habitation.